The north London side have plenty of options in the centre of the park but they are expected to spend on a new recruit with Aaron Ramsey due to join Juventus on a Bosman at the end of the season. According to Le Foot, Gunners boss Unai Emery has already begun the search for a probable replacement and Veretout, formerly of Aston Villa, has been earmarked as a candidate to replace Ramsey at the club. 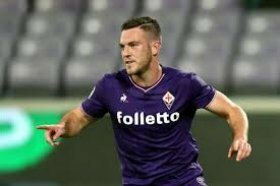 Veretout had a forgettable debut season with the Villains between 2015 and 2016 where he made 25 Premier League appearances en route to the club's relegation. However, the 26-year-old has managed to transform his fortunes in the Serie A over the past few seasons, and he is currently one of Fiorentina's top-performing players. He has netted 13 times from 63 appearances for La Viola in Serie A. The club are likely to demand around £21.5m for the midfielder, who was recruited from Villa for just £6m in 2017.